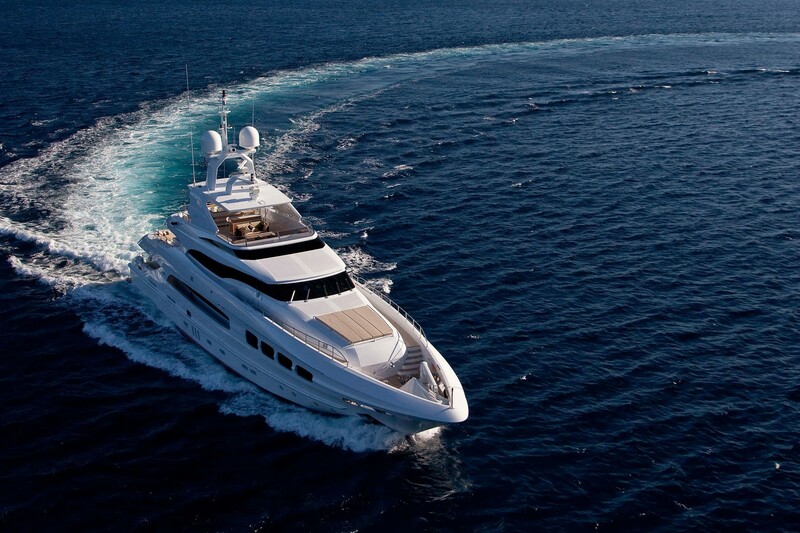 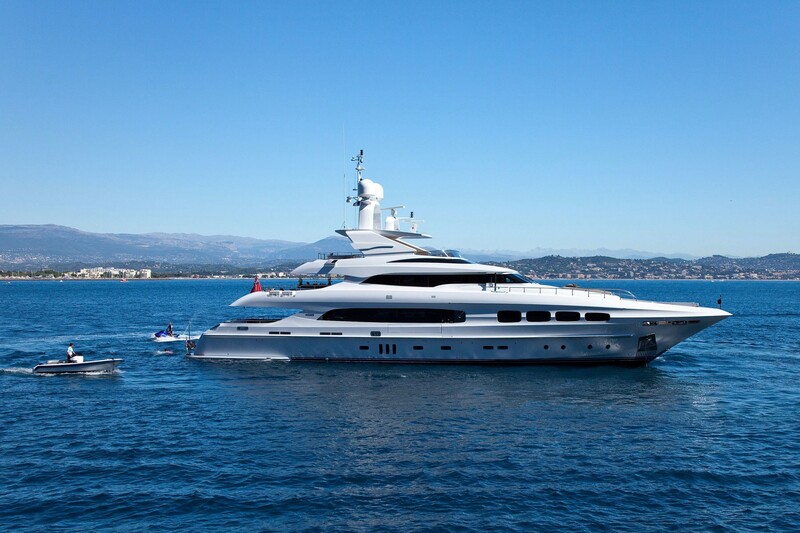 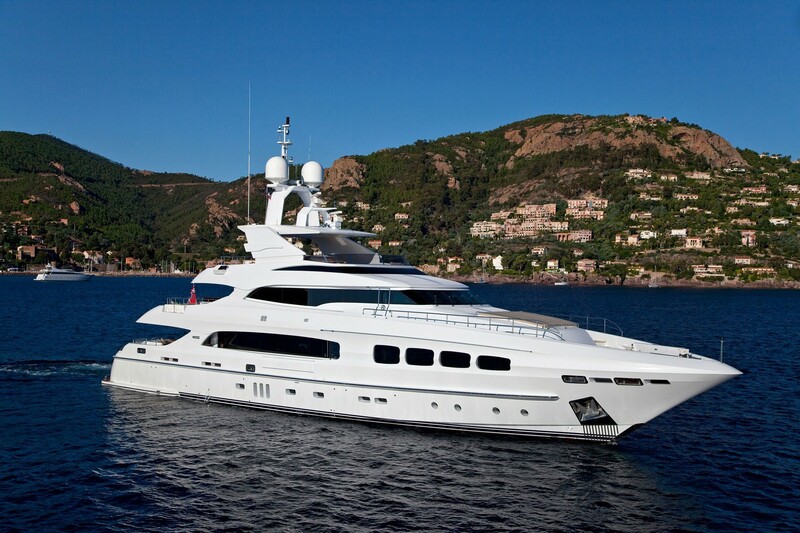 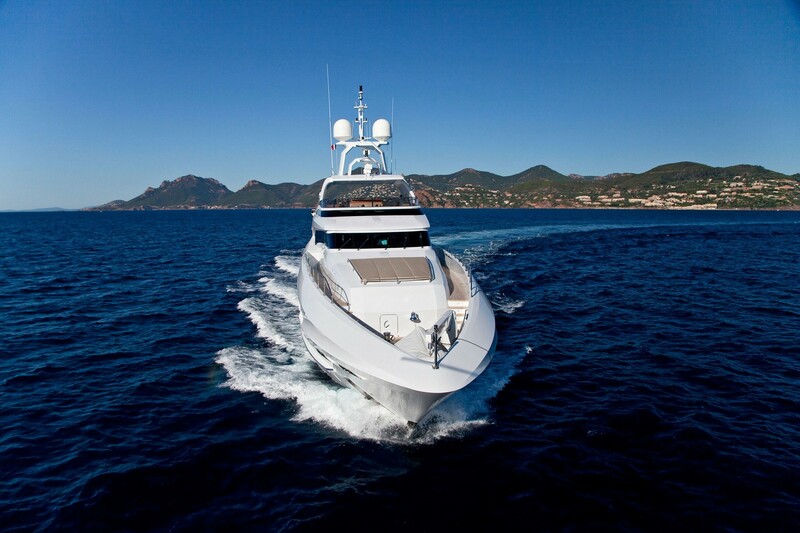 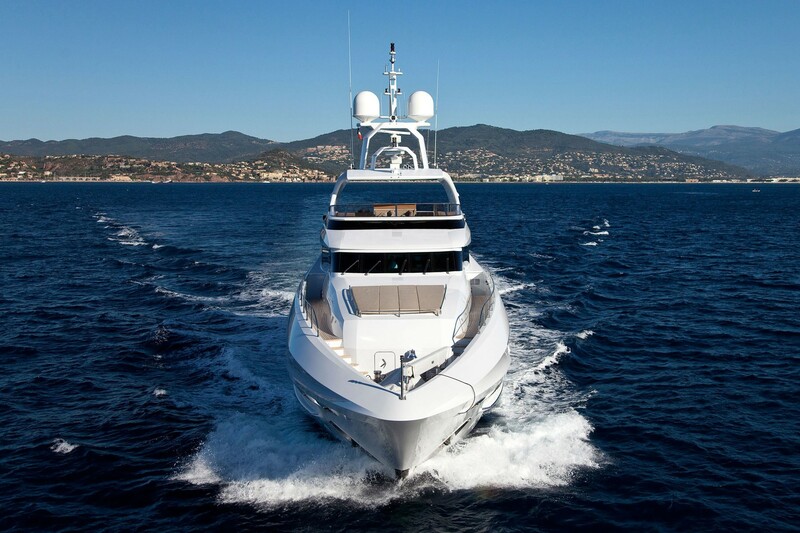 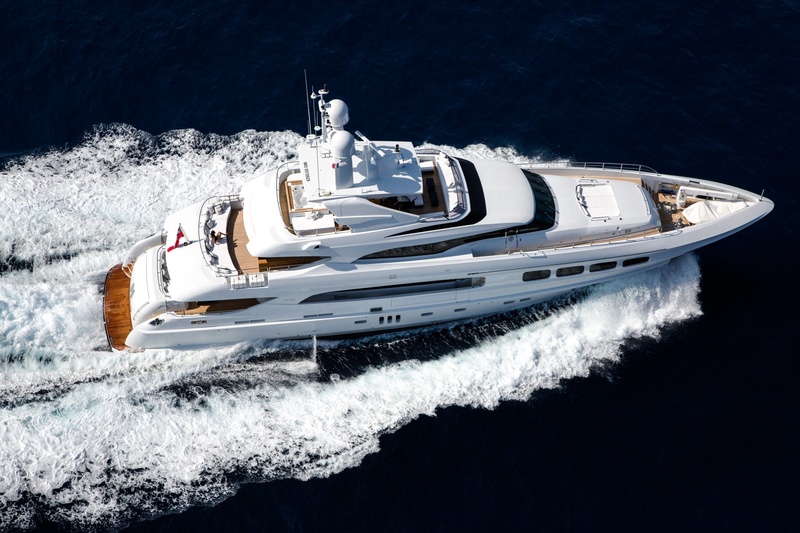 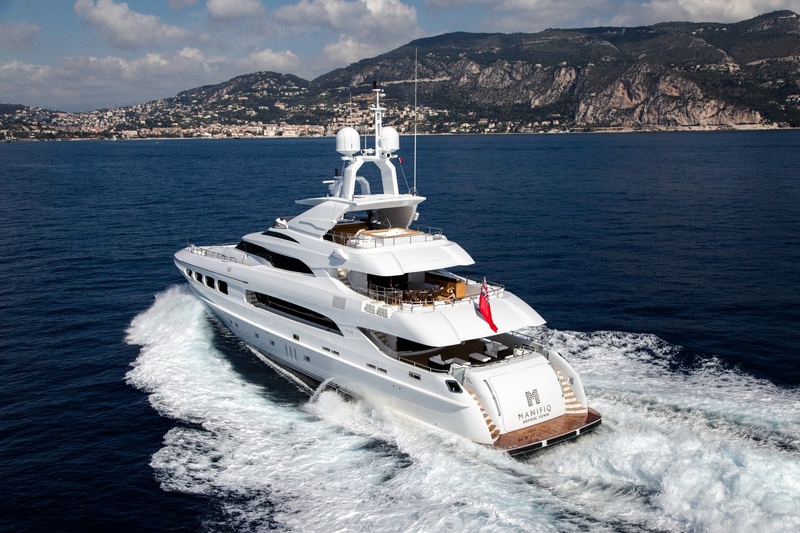 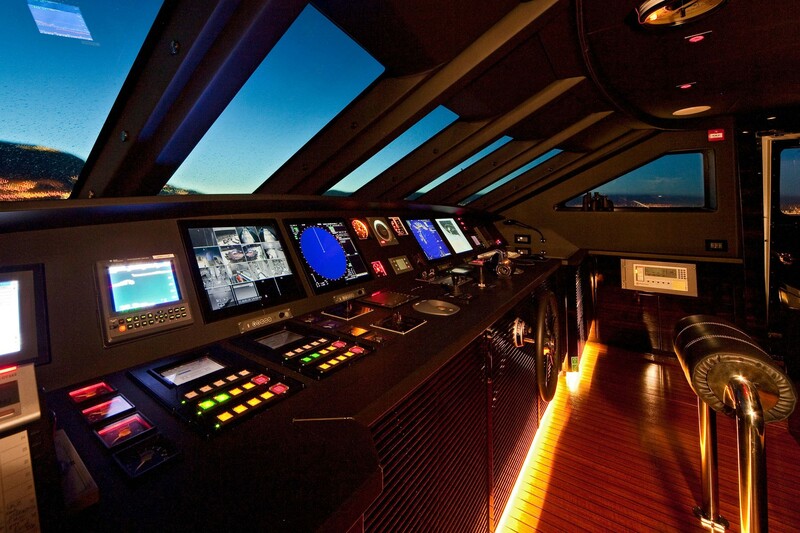 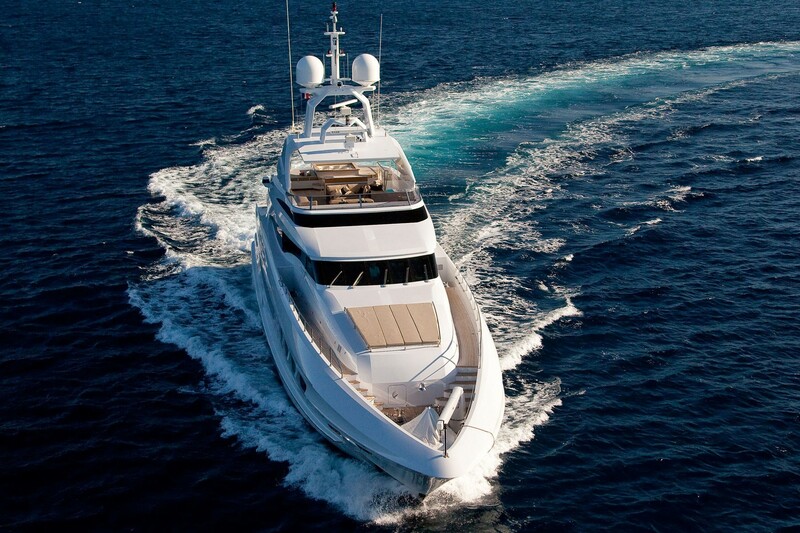 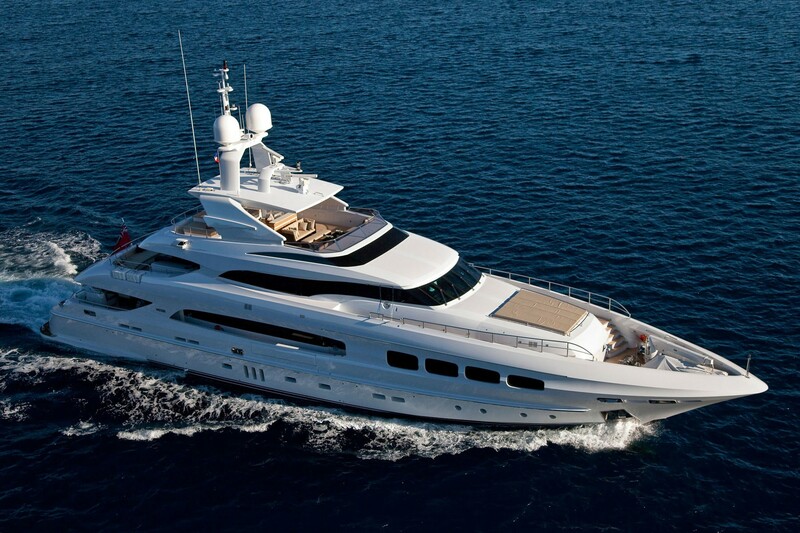 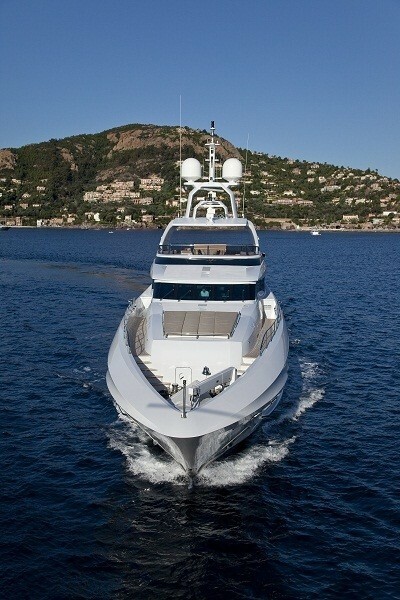 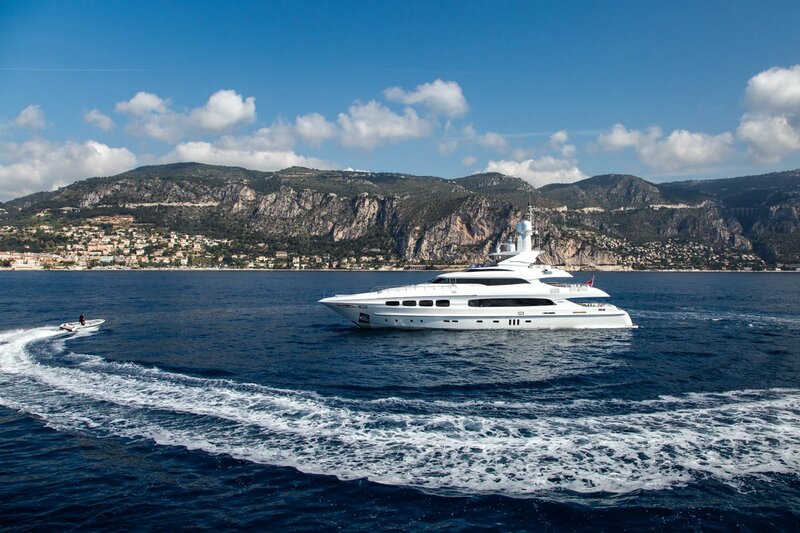 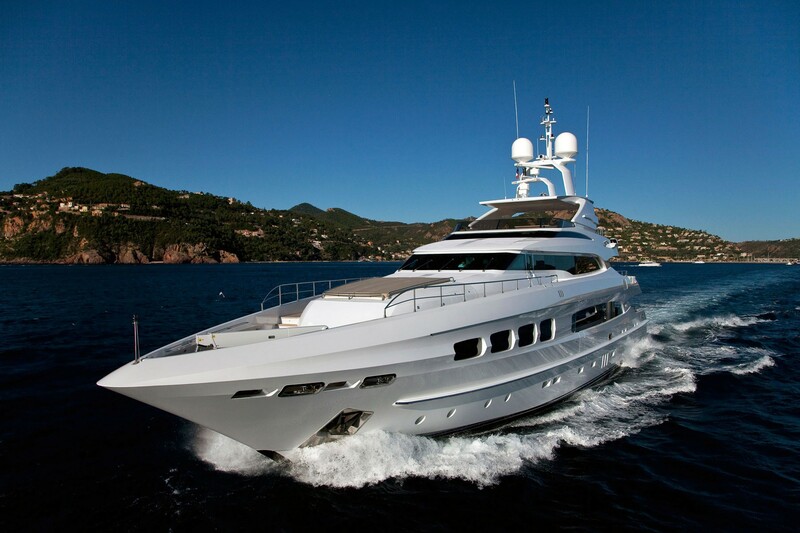 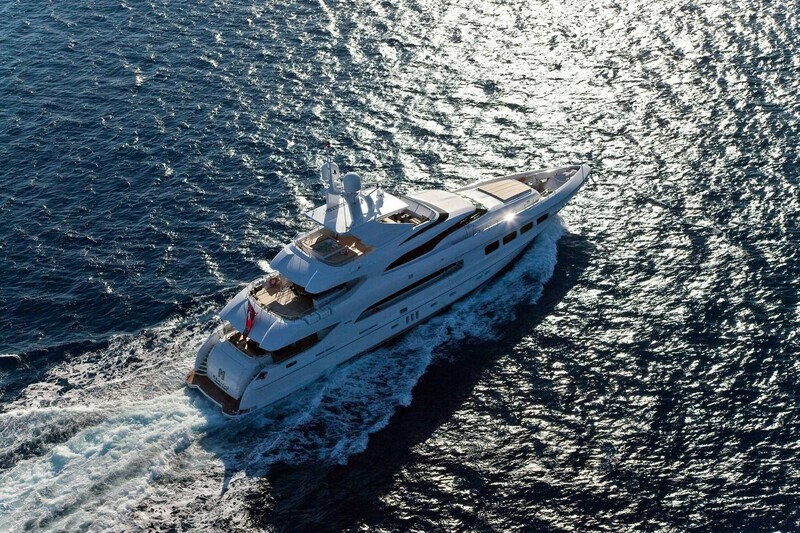 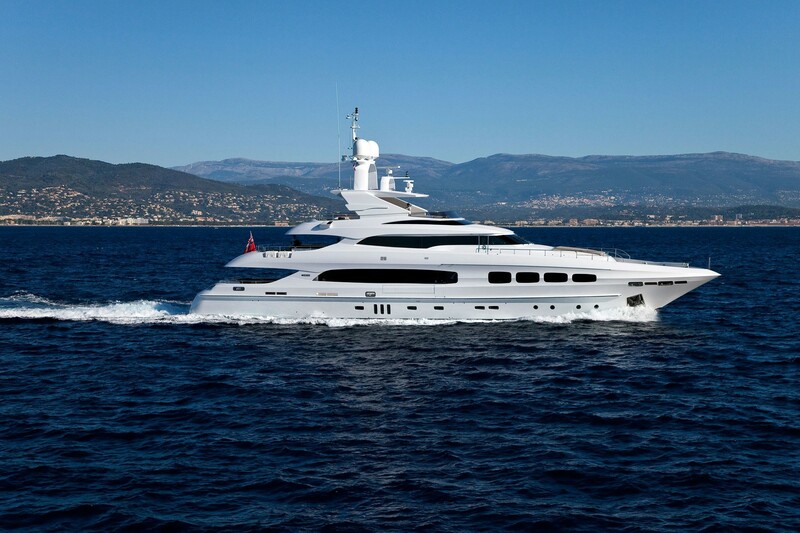 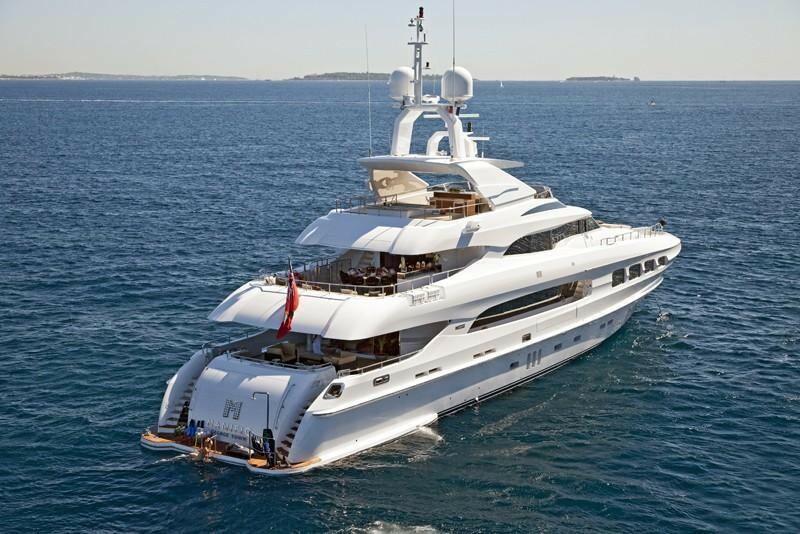 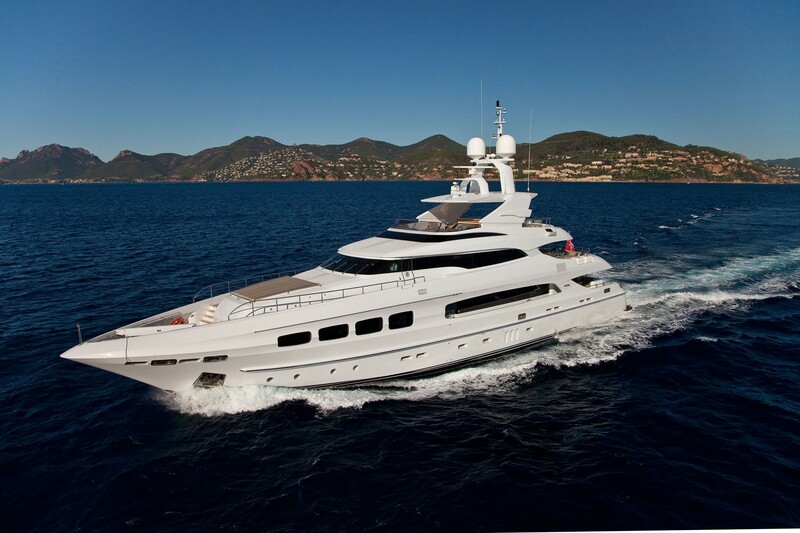 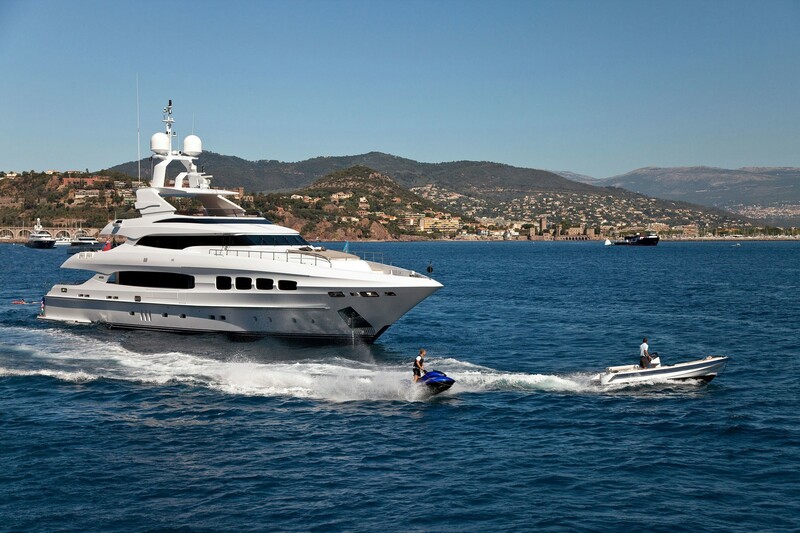 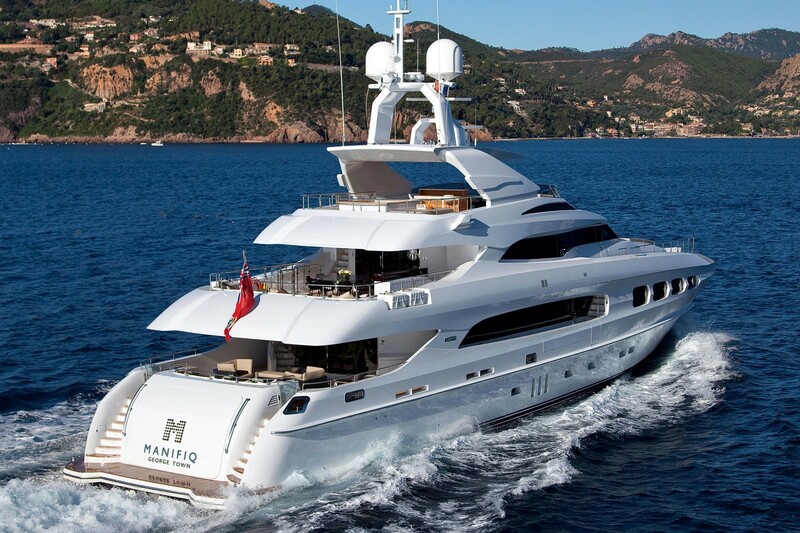 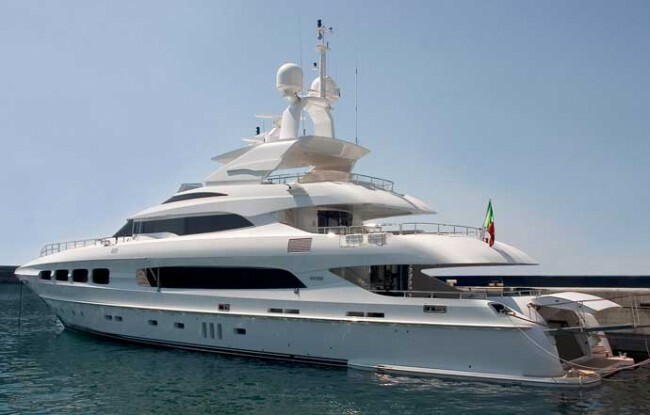 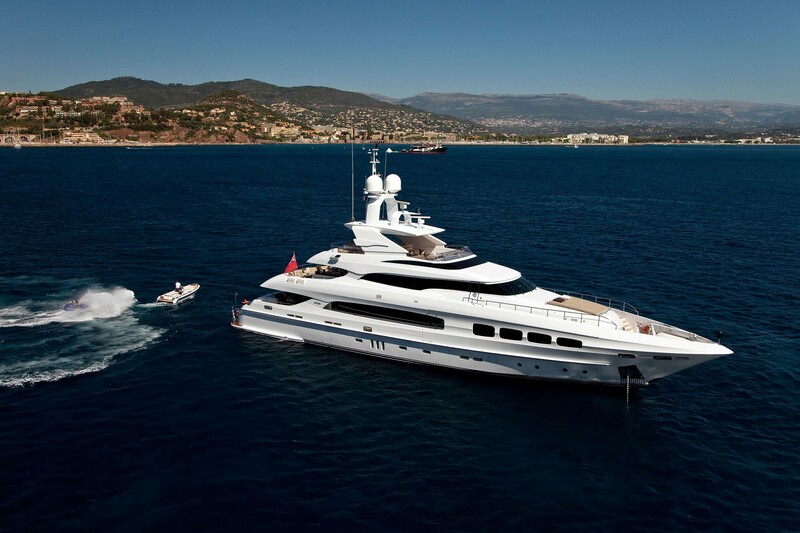 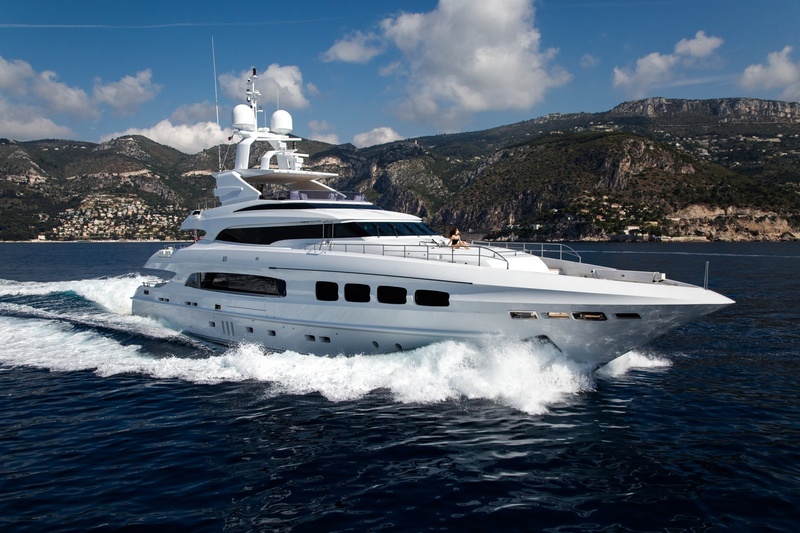 Motor Yacht Manifiq is a 40.5 metre (132'90'') vessel launched by the Italian shipyard in May 2010. 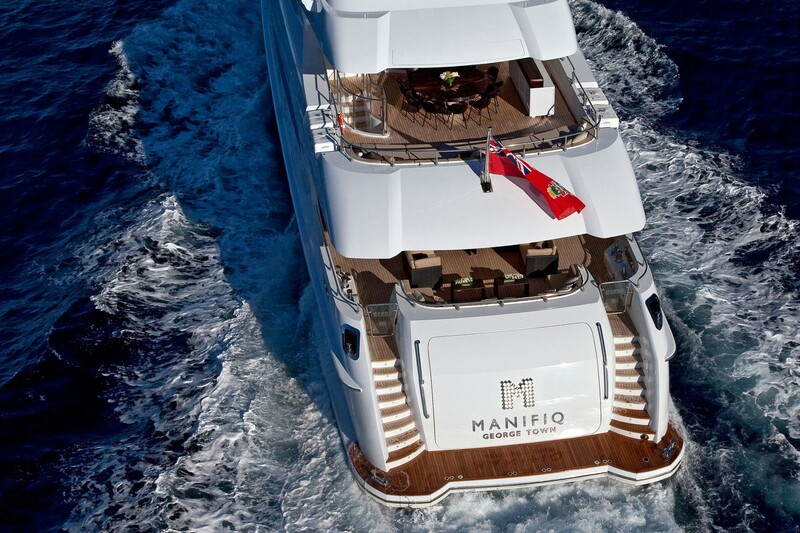 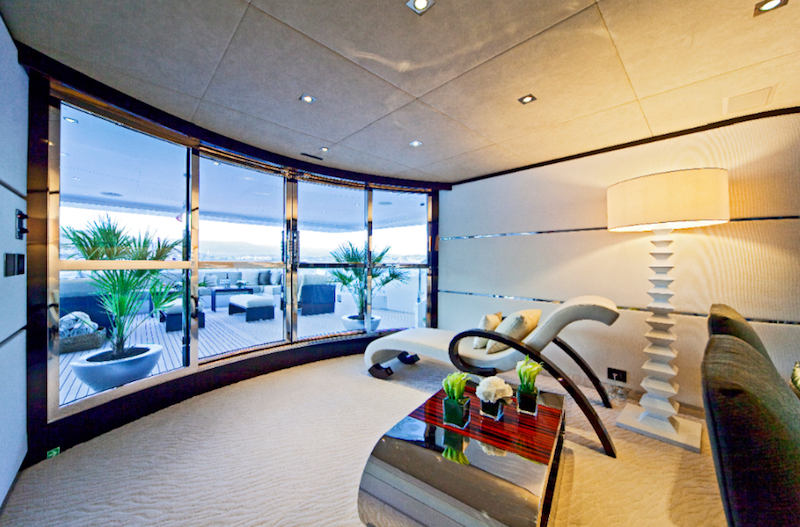 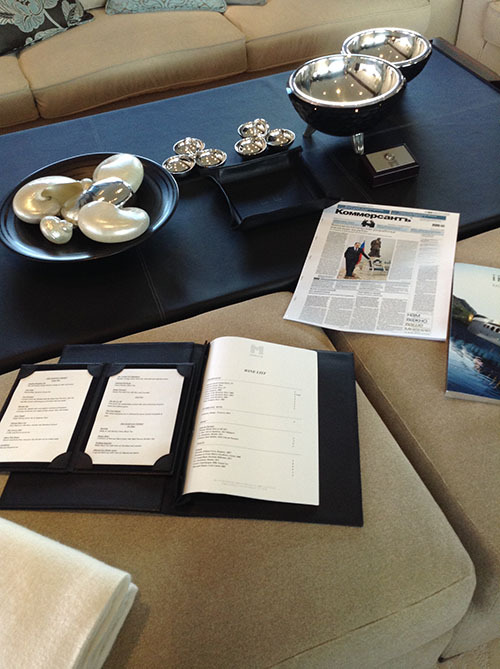 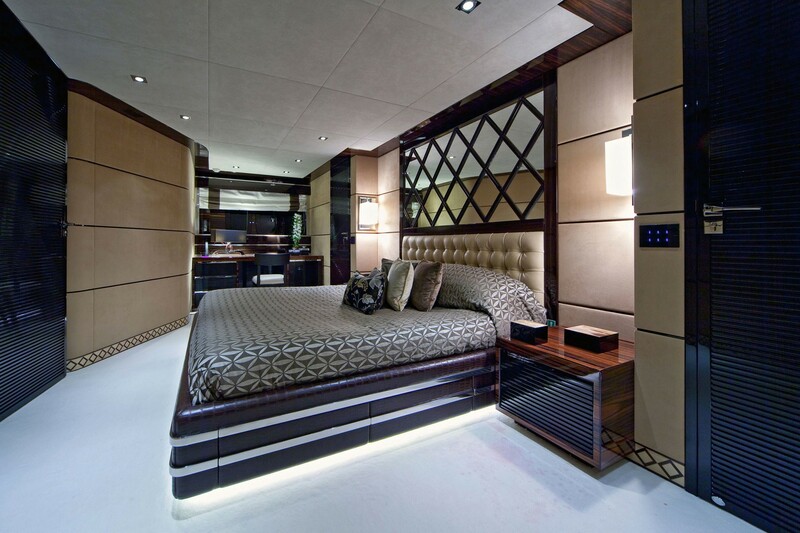 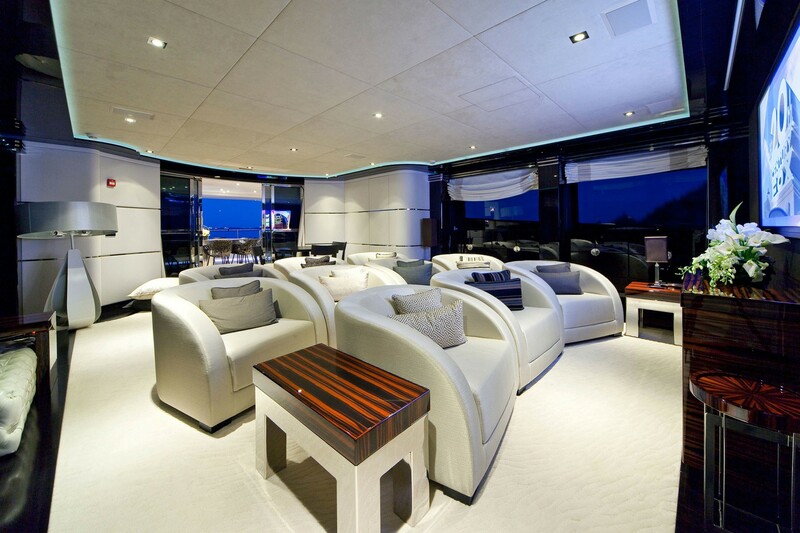 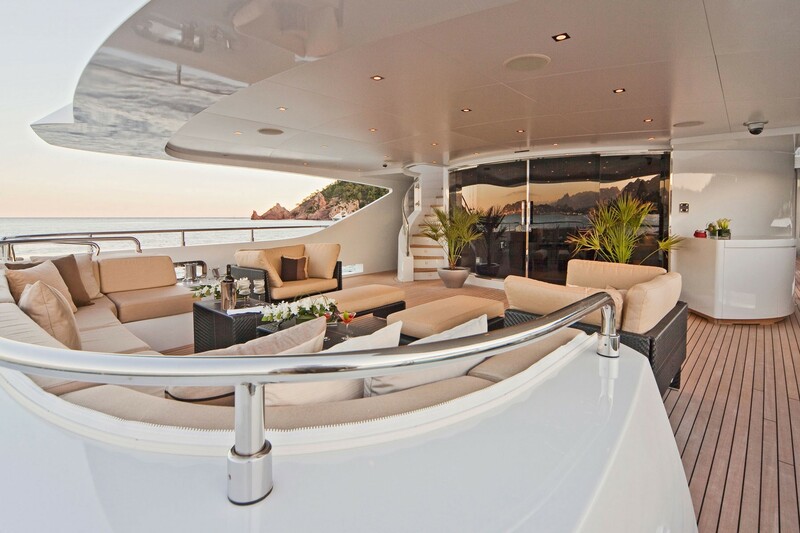 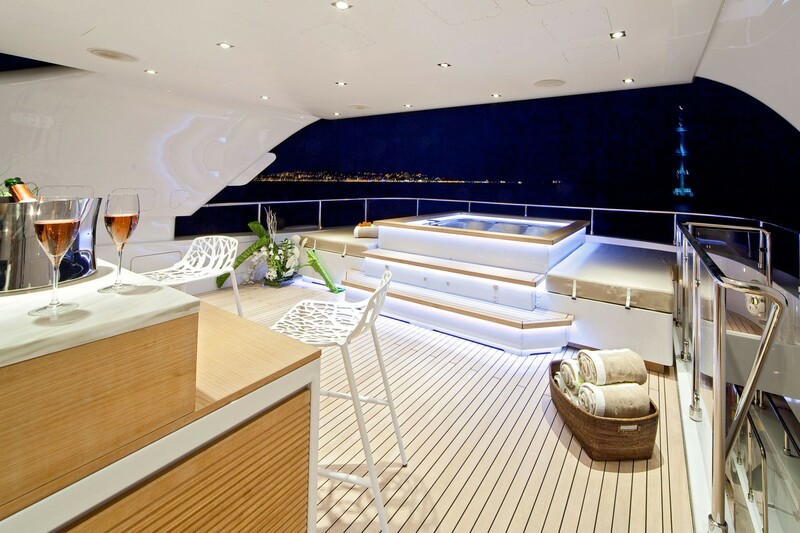 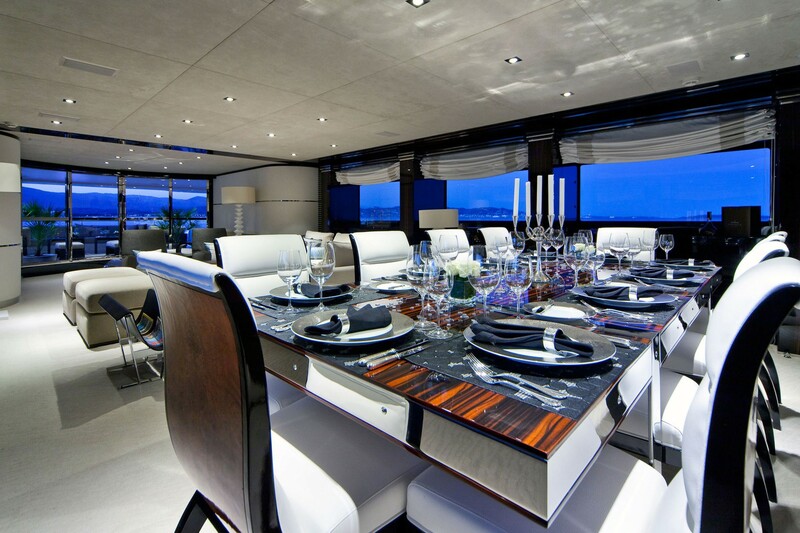 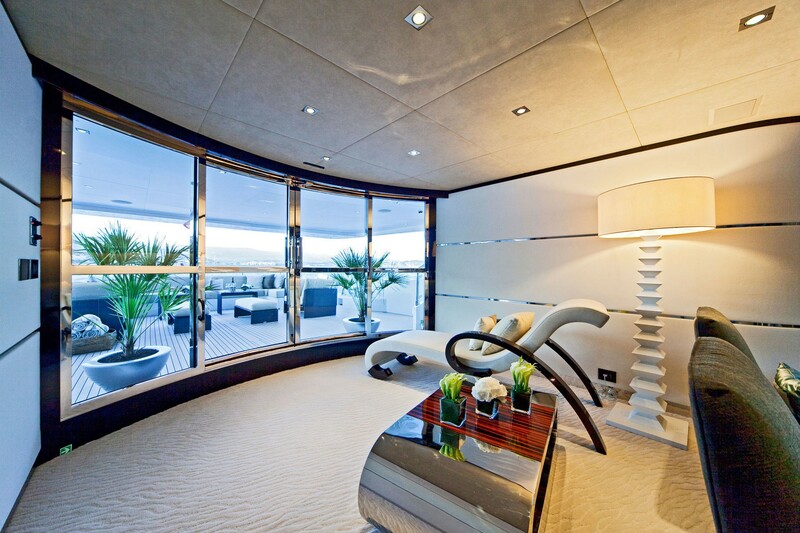 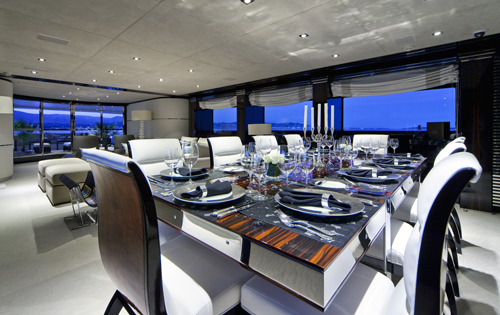 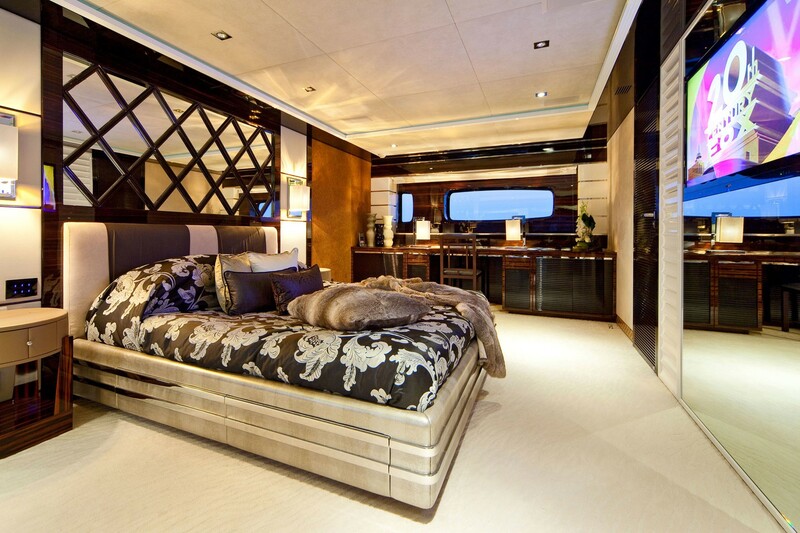 The luxury charter yacht Manifiq features modern exterior lines by Cor D. Rover and elegant interior by Luca Dini Design. 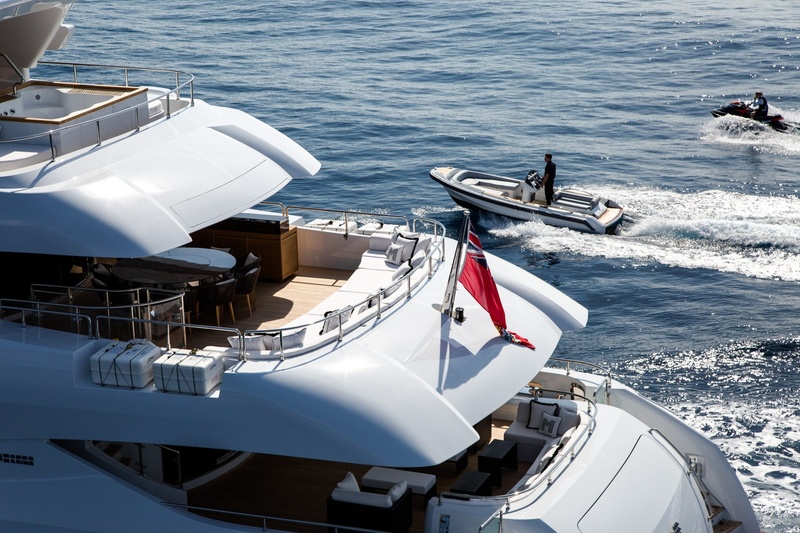 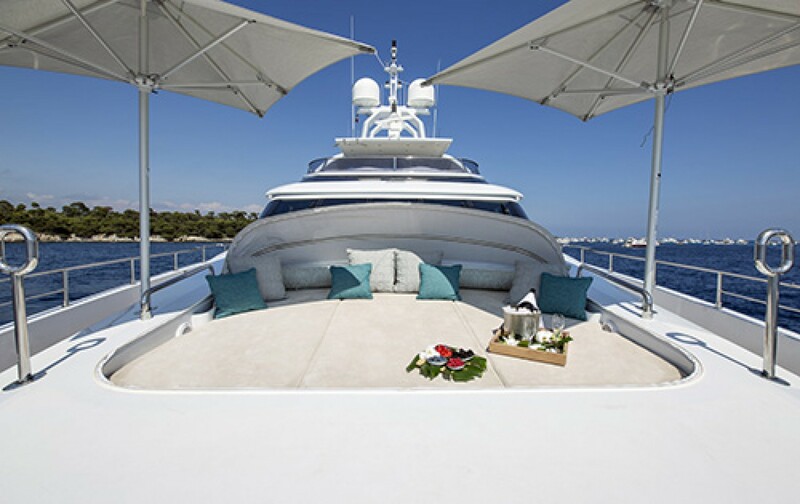 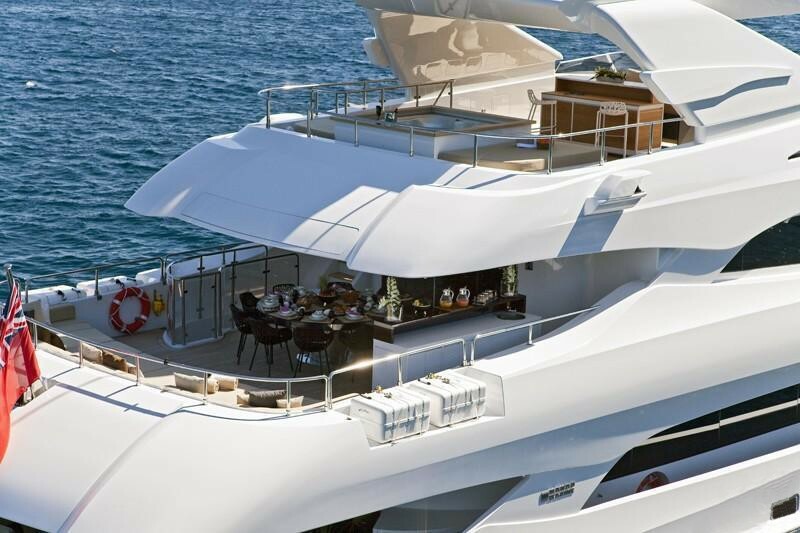 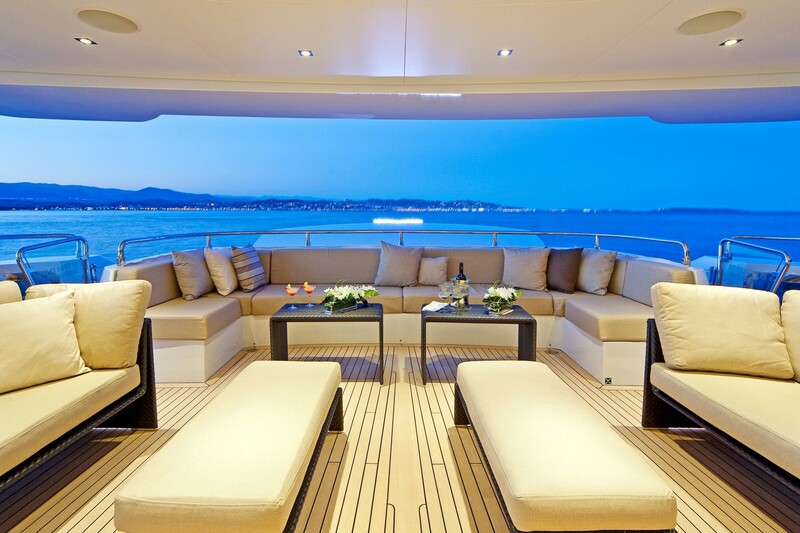 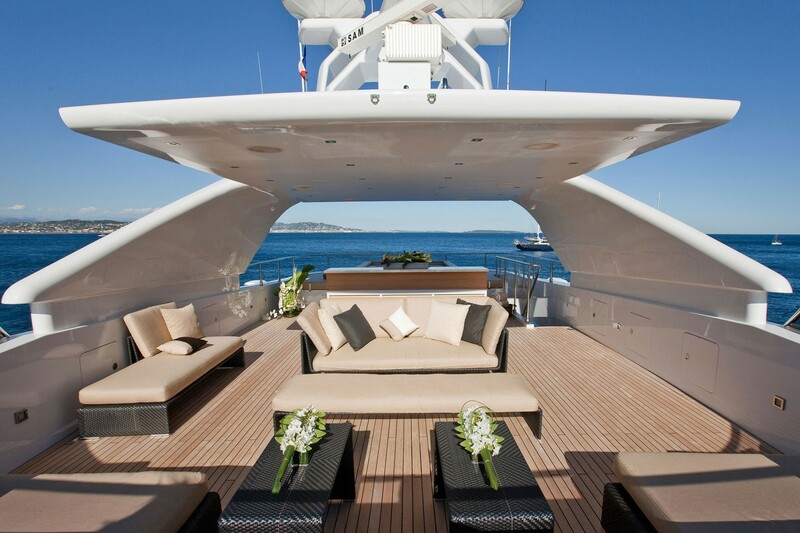 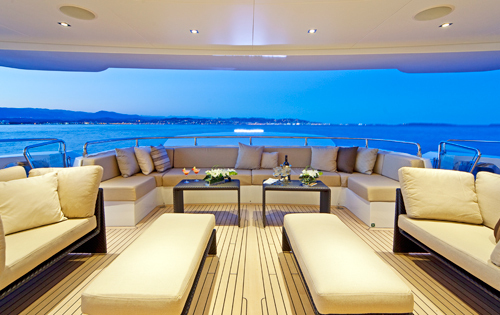 Manifiq's NOTABLE FEATURES: ~ Sophisticated interior design ~ Cinema ~ Lounging and meeting spaces on the main deck ~ Perfect amenities for sunbathing and outdoor entertainment ~ 6m tender and a variety of water toys. 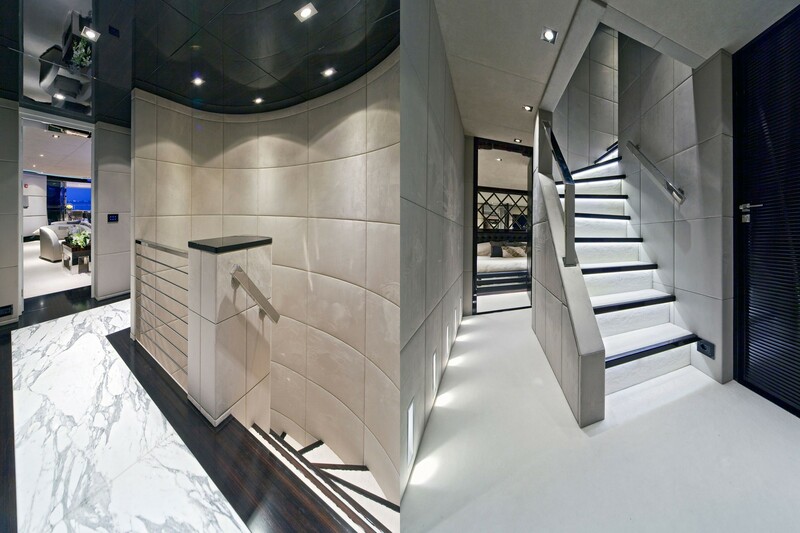 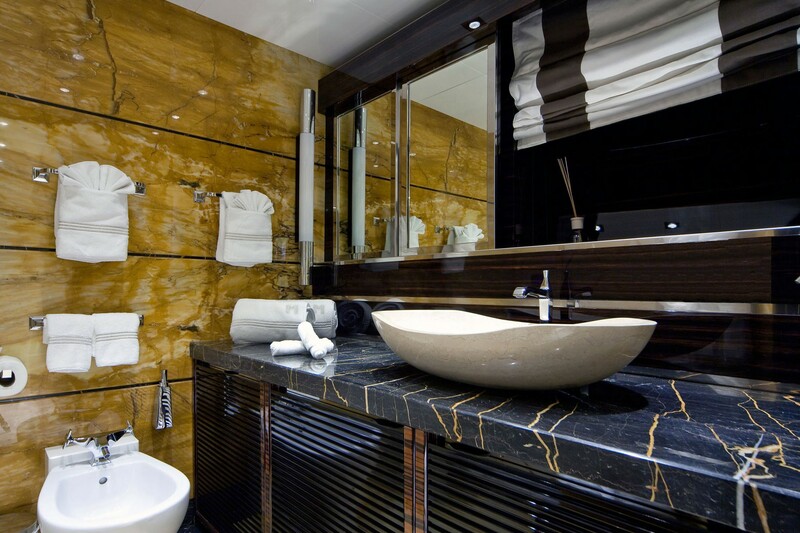 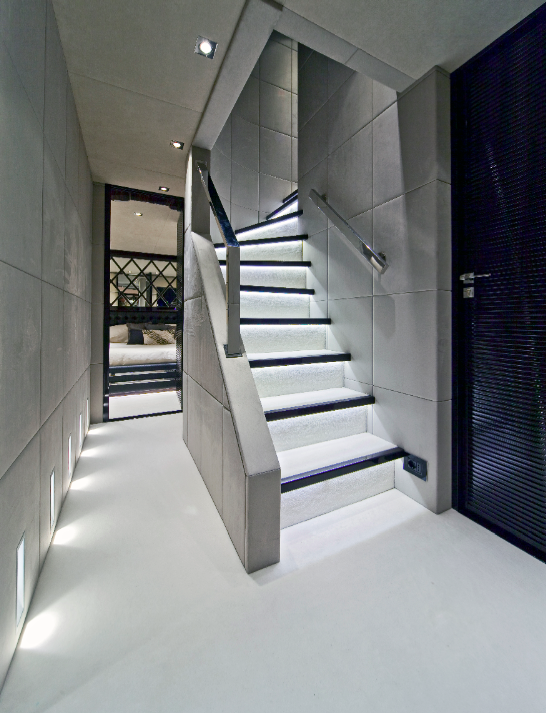 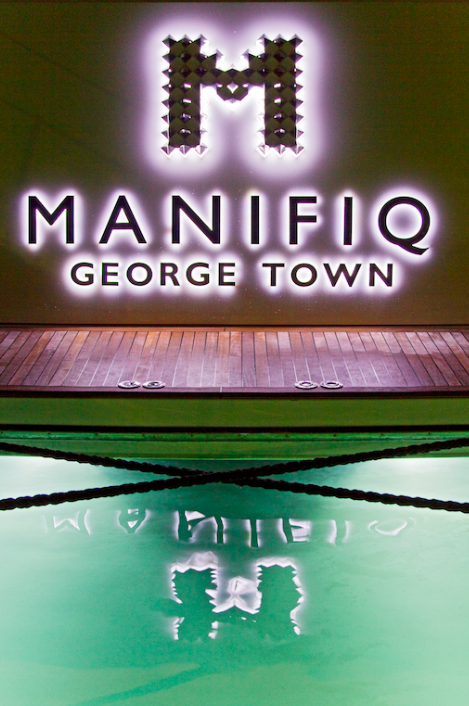 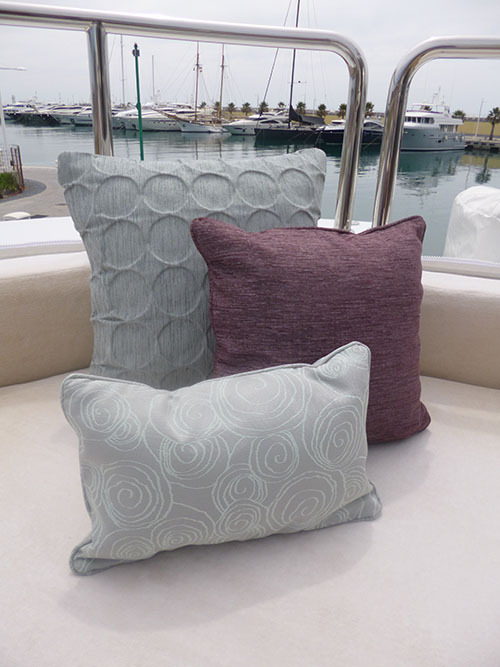 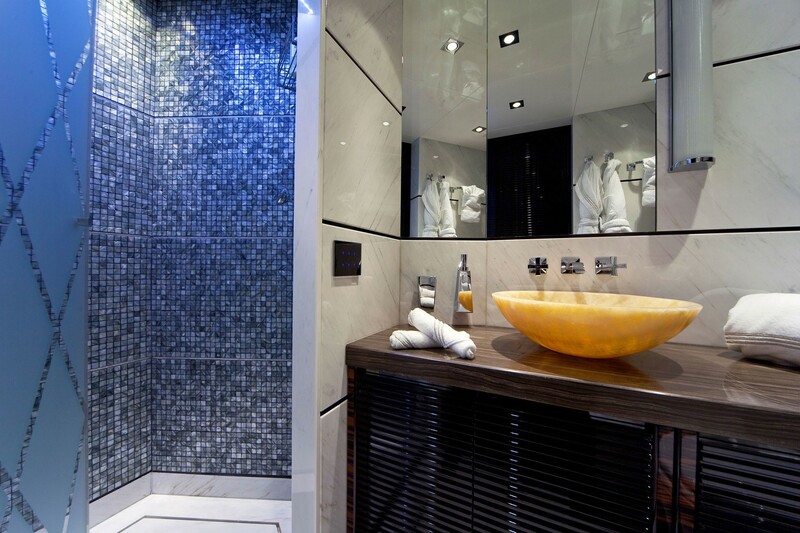 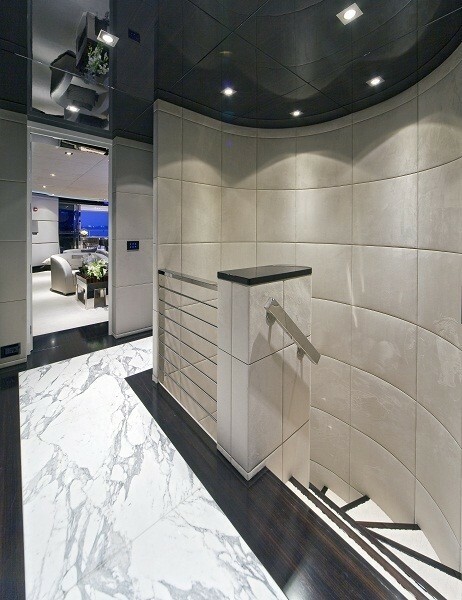 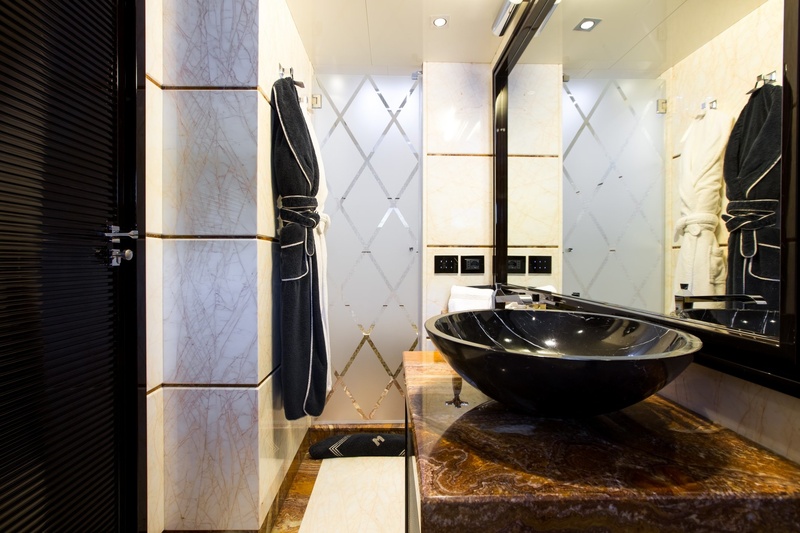 Manifiq's interior decor boasts some beautiful elements, such as dark woods, soft fabrics and marble. 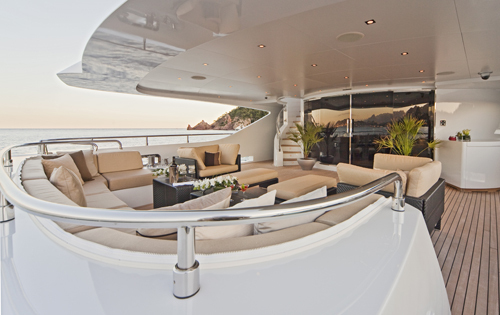 Exterior living spaces are plentiful and suitable for entertainment and total relaxation soaking up the sunshine. 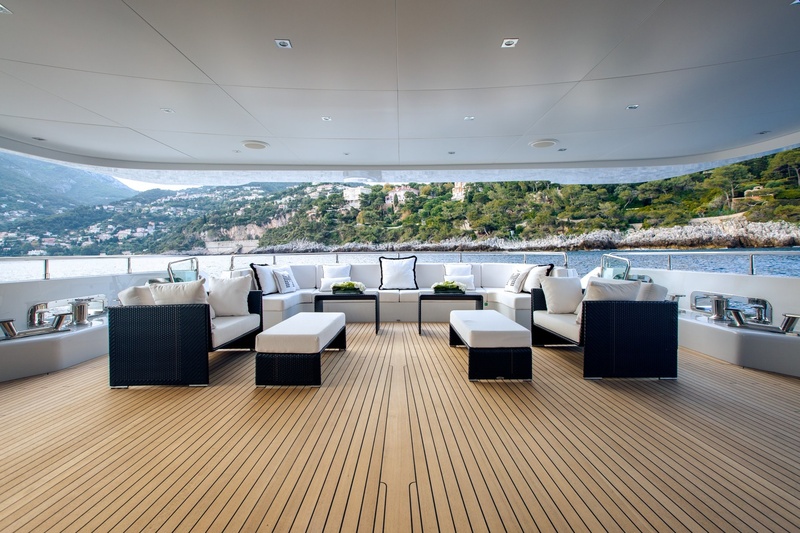 The upper deck salon can be transformed into a cinema theatre, where charter guests can enjoy watching some of their favourite movies after a day of exploring the Mediterranean. 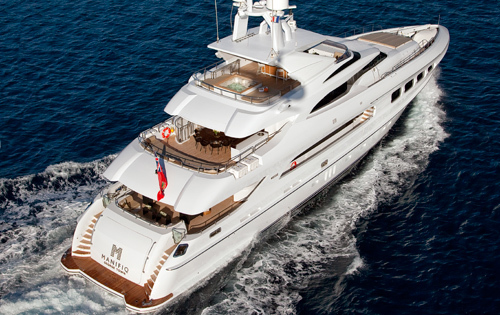 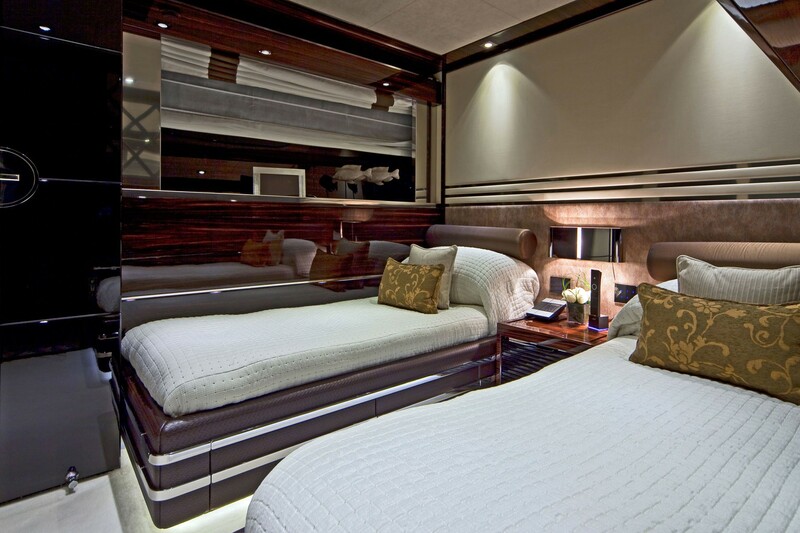 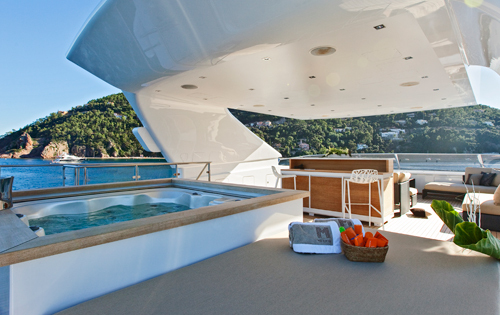 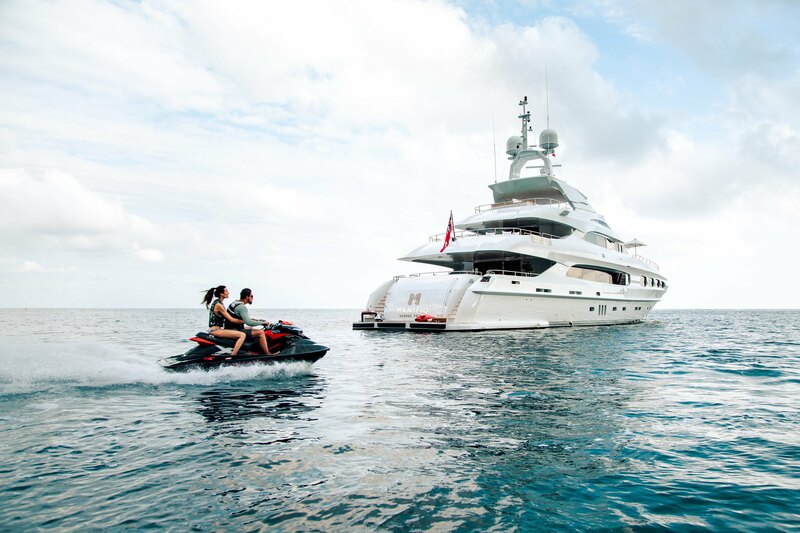 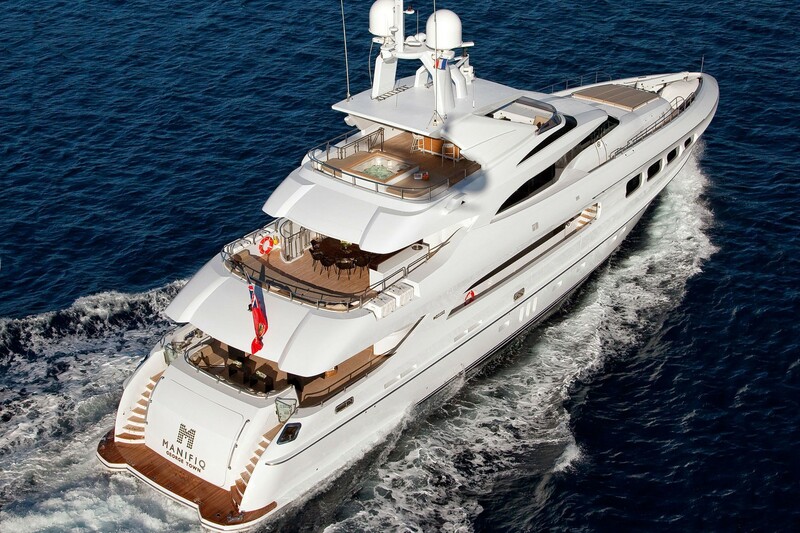 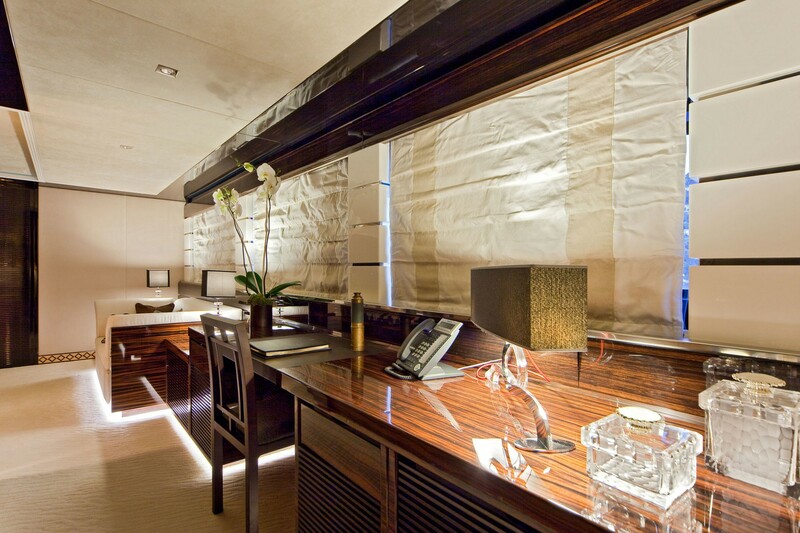 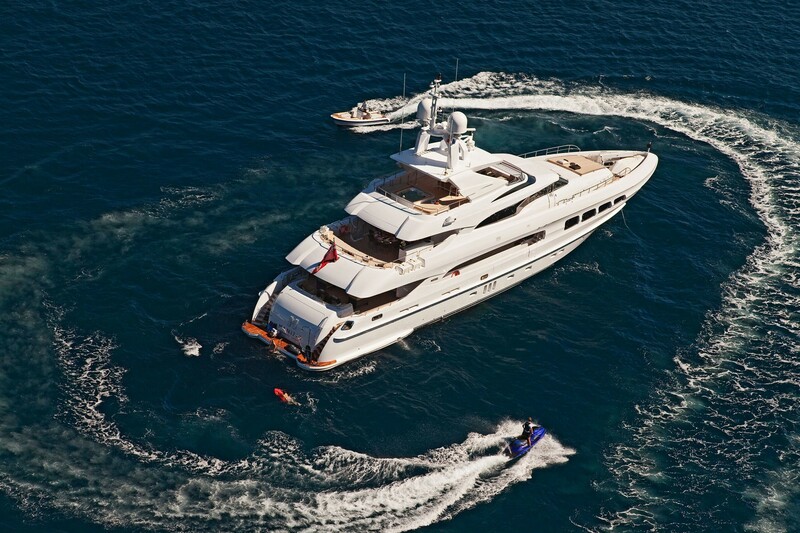 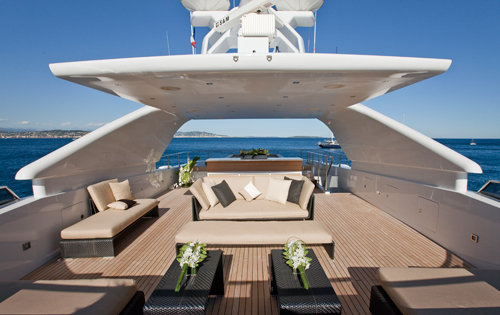 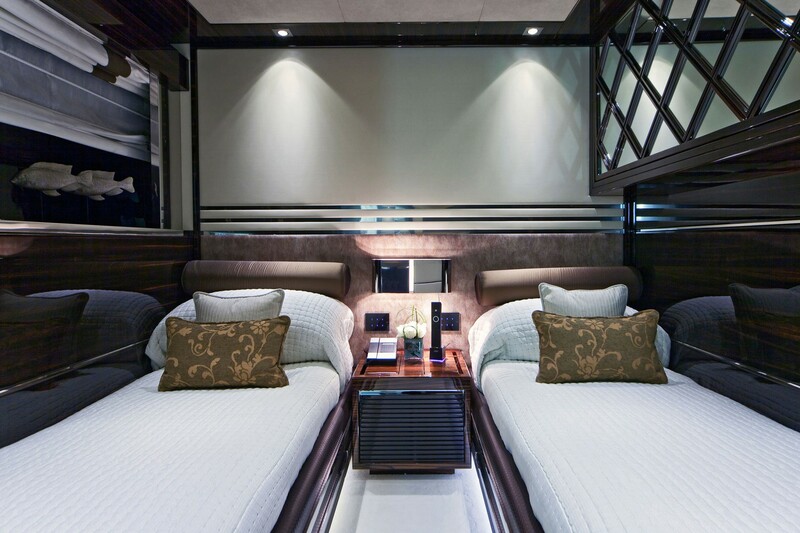 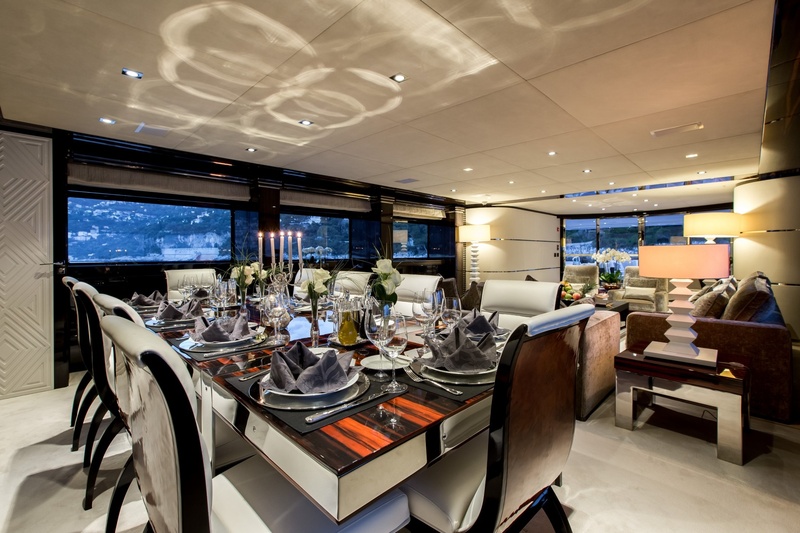 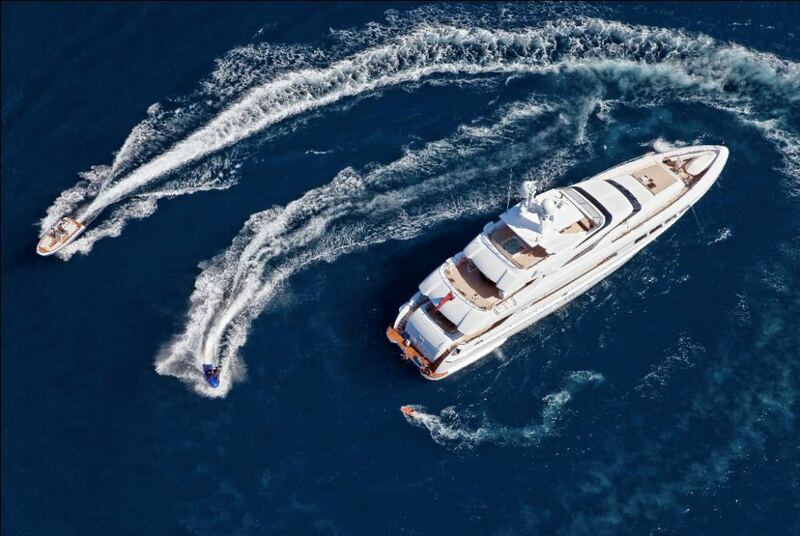 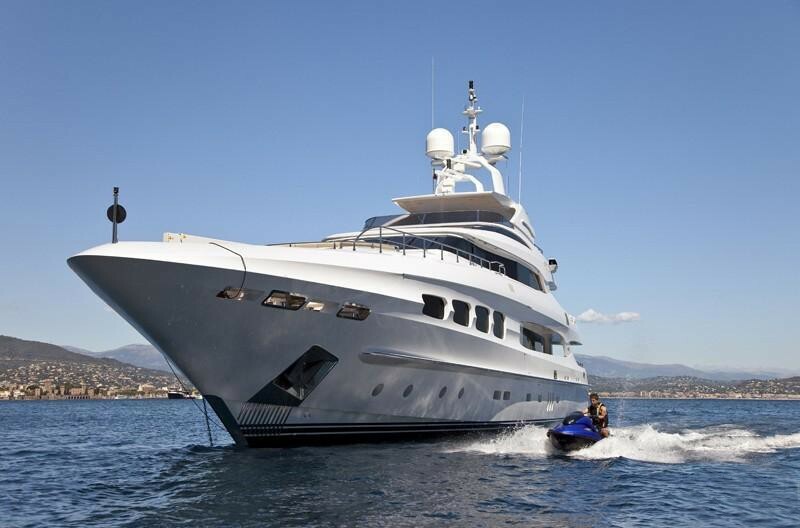 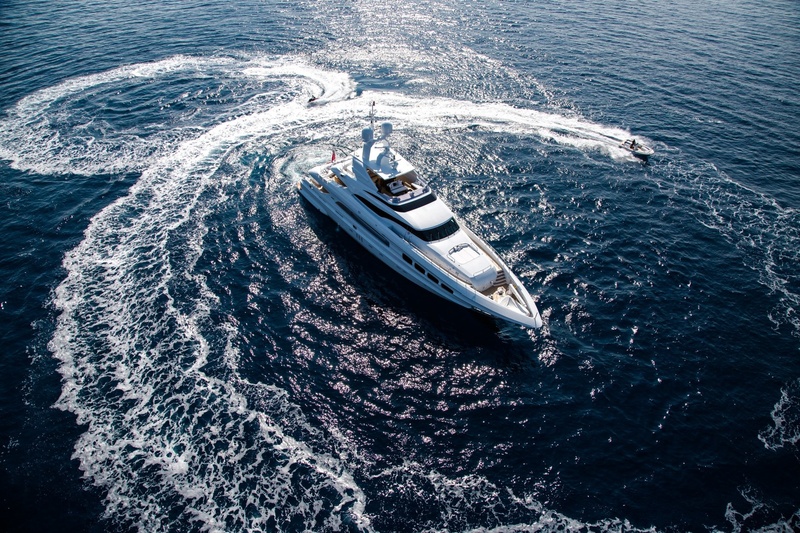 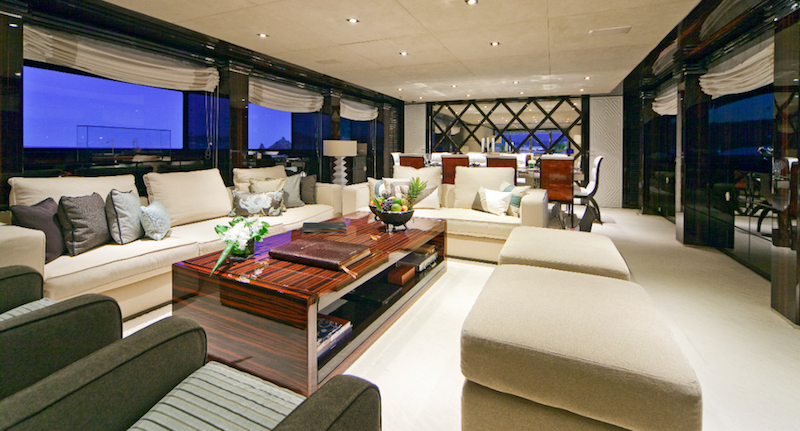 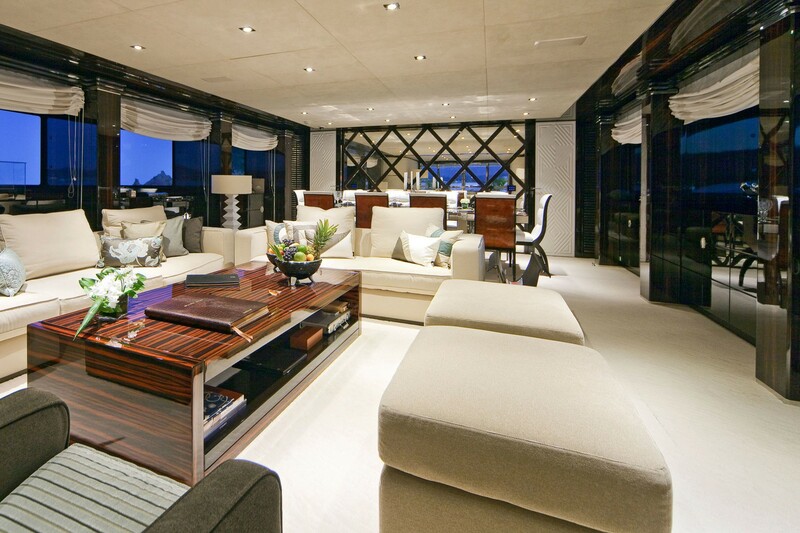 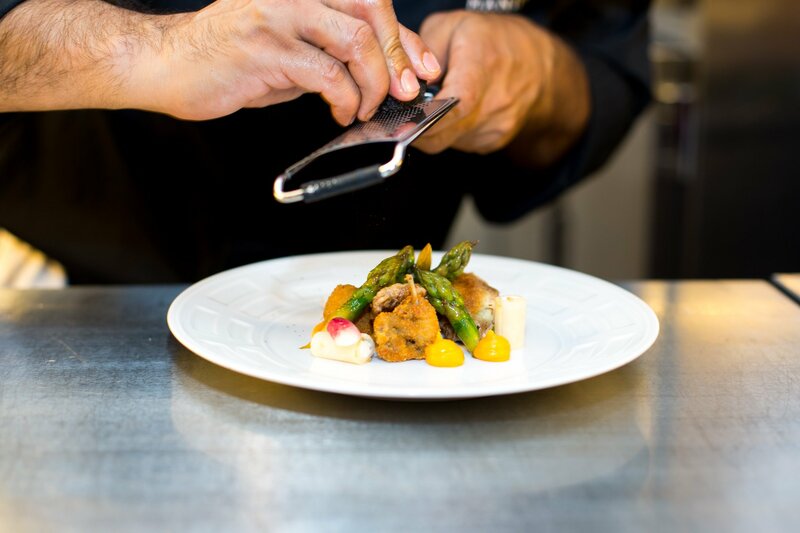 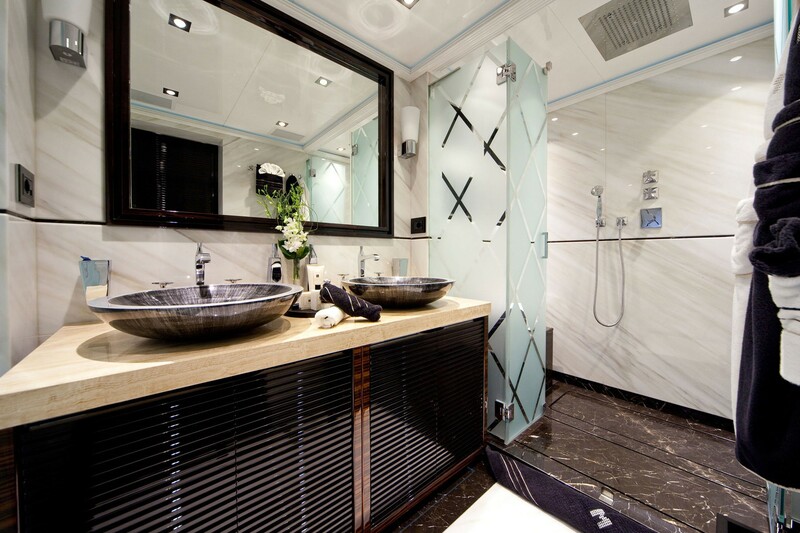 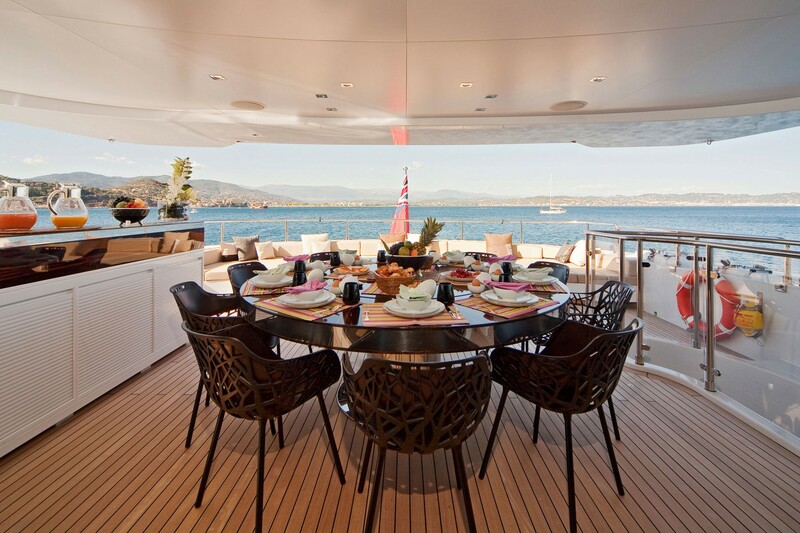 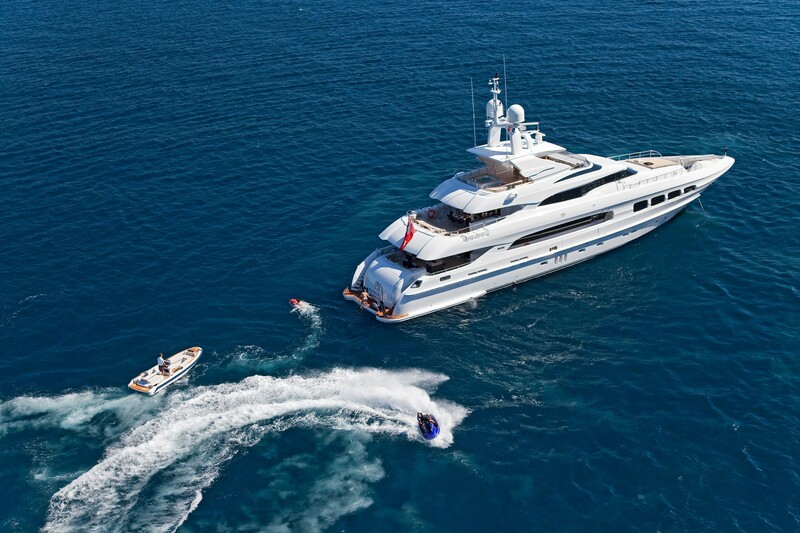 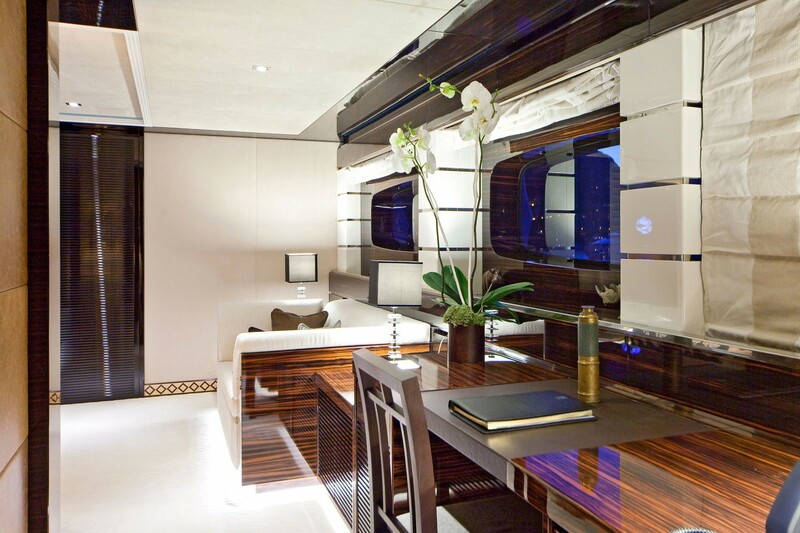 Accommodation to 10 charter guests on board of the motor yacht Manifiq is offered in one Owner's suite on the main deck and four guest suites on the lower deck. 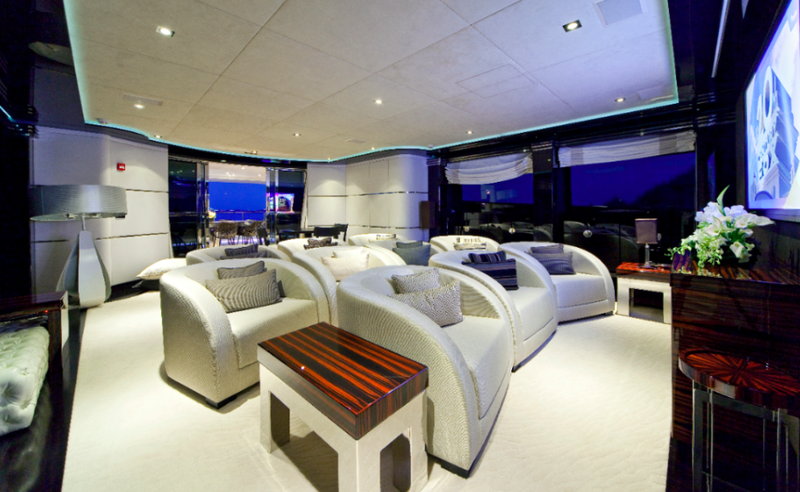 The upper deck features a sky lounge, which can be converted into a cinema. 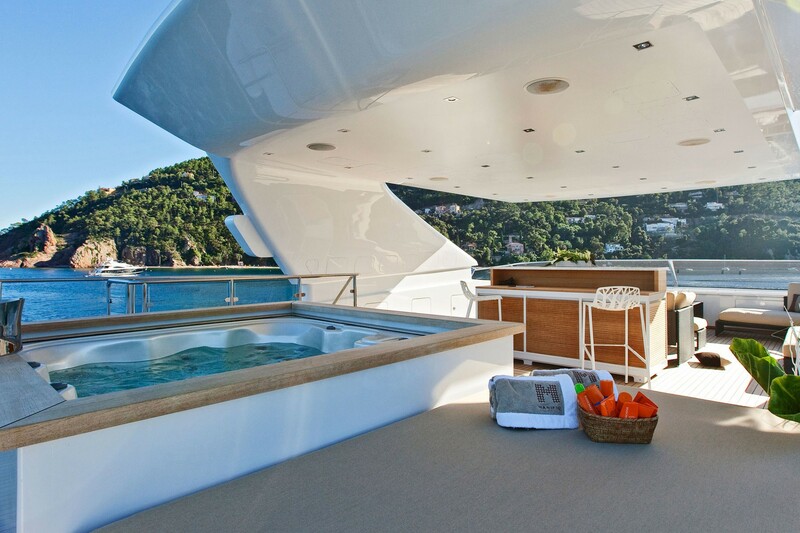 The sun deck has a large Spa Pool, sun lounge area, bar equipped with barbeque and a dining area. 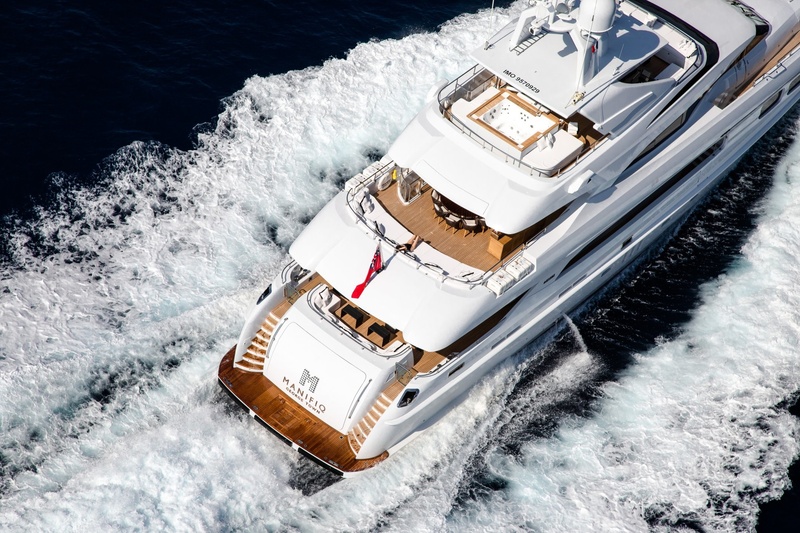 Mondomarine Manifiq yacht is powered by twin MTU 12V396TE94 engines that allow her to reach a maximum speed of 19 knots and she can comfortably cruise at 17 knots. 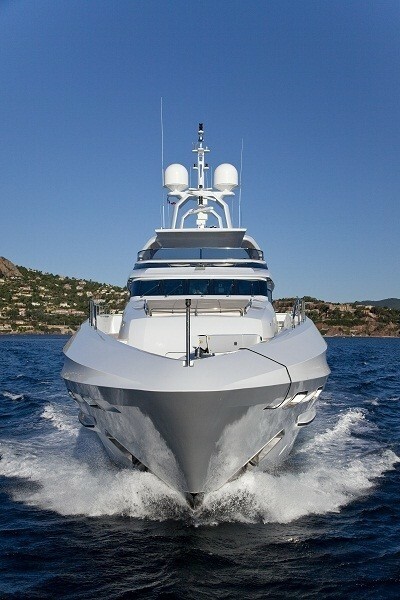 Her range is 3,000 nautical miles. 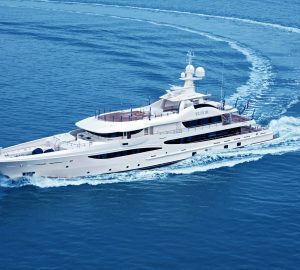 Superyacht Manifiq is built in a lightweight alloy material and was constructed to satisfy the RINA and MCA stipulations. 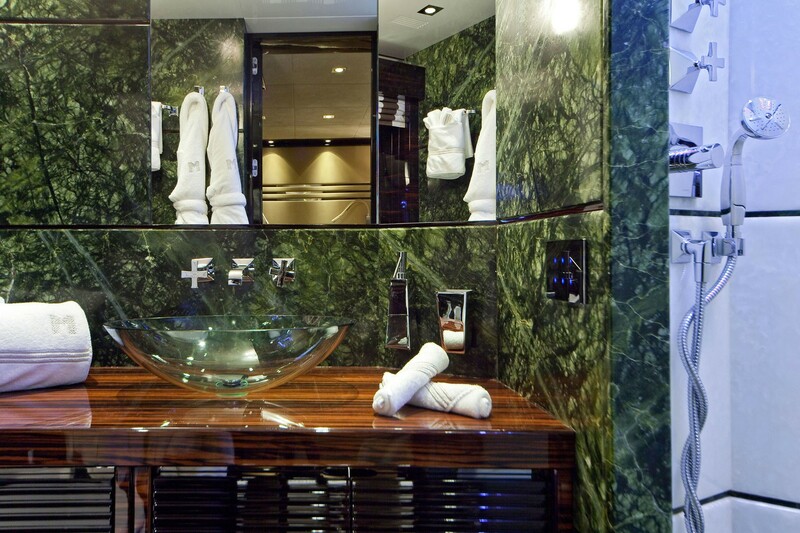 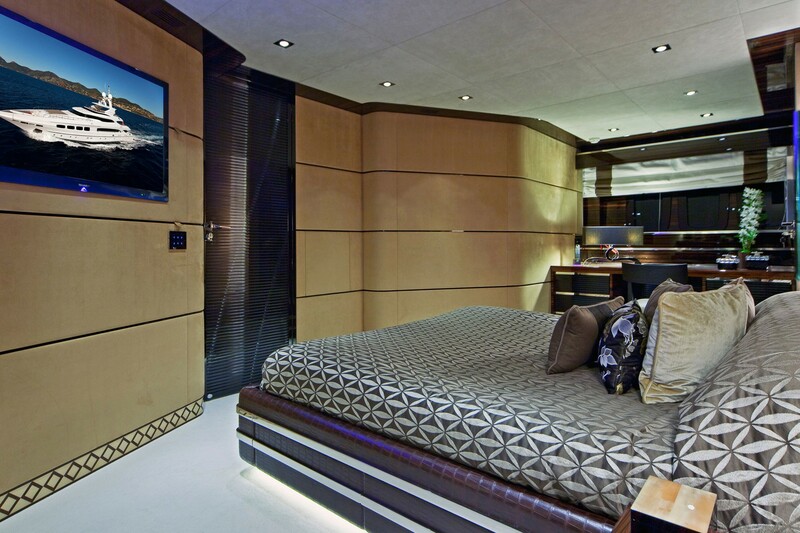 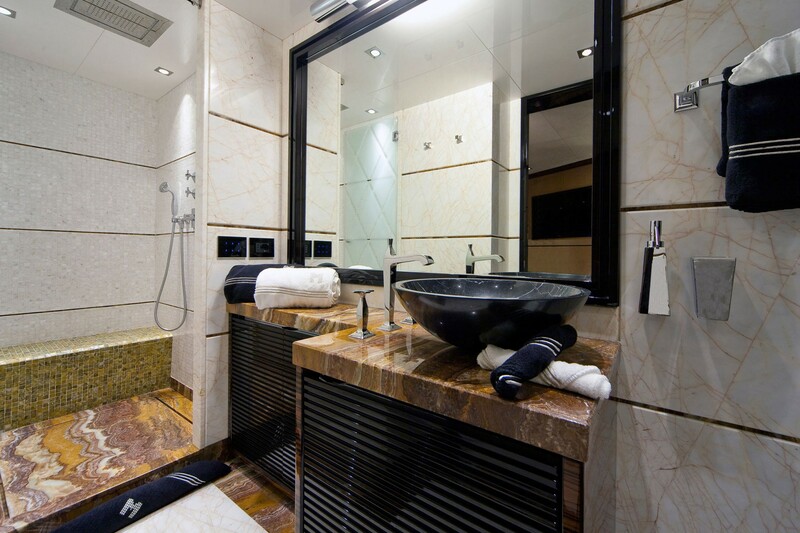 Guest accommodation comprises of 5 well-appointed cabins, each with a state-of-the-art entertainment system. 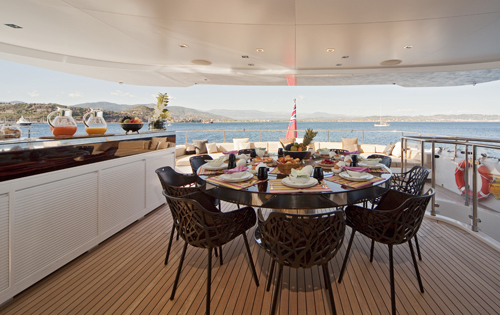 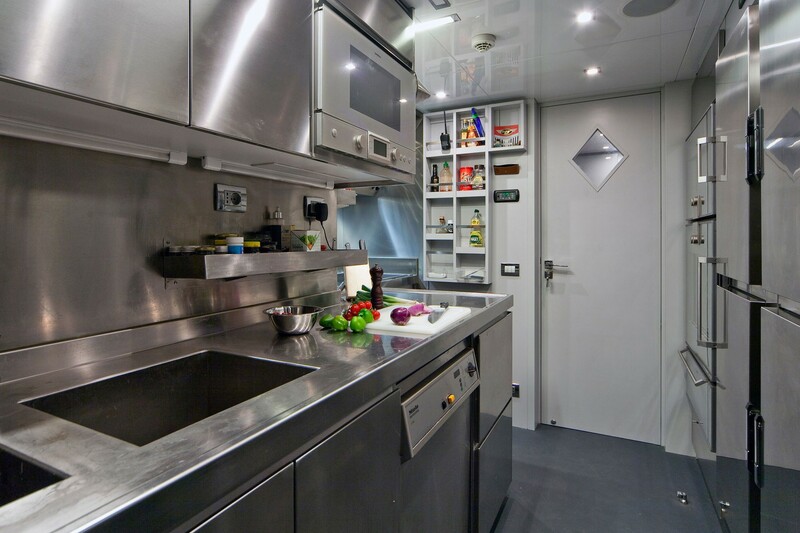 There is a full-beam master cabin with a spacious en-suite and two large walk-in wardrobes. 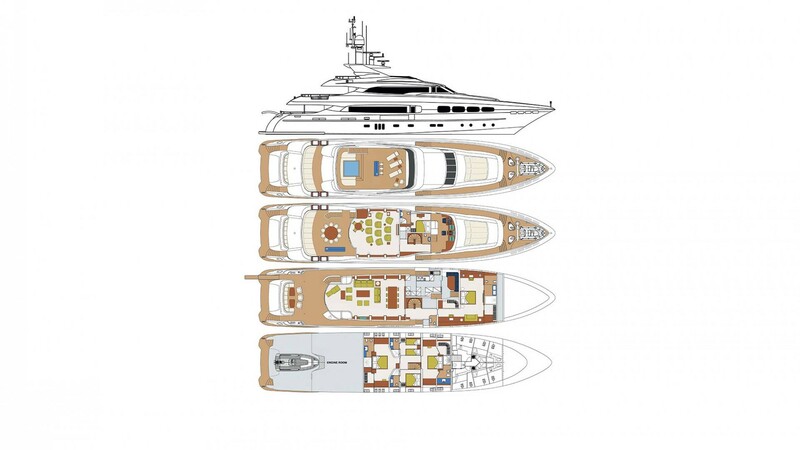 Two full-beam VIP cabins, as well as one double cabin and one twin, are located on the lower deck.